According to the last census, 21 million or nearly 9% of the civilian population over 18 are veterans, with nearly a 3rd having served from the Gulf War to today. Central Florida has the 3 largest Veteran population in the United States! And yet, in recent years, for these veterans, loans backed by the VA represent only 7% of the entire housing market. This means that too many veterans are still not taking advantage of historically low rates and the benefits of a VA backed mortgage. When it comes to these veterans, service members or surviving spouses, the VA wants to see them become homeowners. The VA has a mission to serve them as they have served their country. And because of this, they provide a benefit to make it easier and more affordable for those who have served and their spouses to purchase their first home. They guarantee a portion of their loan through a private lender, which allows lenders to give them more favorable rates and terms than they might otherwise qualify for. Fred Franks of Local Realty Service and a disabled veteran located in Ocala Florida, was quoted as saying – “I’m proud that I got the opportunity to serve this country. And to be a part of a nation that respects the commitment and sacrifices of the service men and women enough to support them in something as important as home ownership.” It is important that veterans know if they qualify, so that they can take advantage of this program. How do they know if they qualify? 600 credit score: If they have just a 600 FICO score, they could qualify for this program. For those who do not know their scores and want to find out before applying, they can learn their score by joining free, secured personal finance sites like freecreditscore.com. Some credit cards now offer a periodic credit score. Or they can get them on various sites. But they should do a little research to determine that the site is safe and understand what terms they may be agreeing to. For someone who has no score because they do not borrow money, this doesn’t need to stop them. Many lenders will do a manual assessment of their credit worthiness by reviewing other financials, especially if they are veterans. 2 year of tax returns: These help show that a person can afford the house and that they are paying taxes, as they should. If their tax returns have been lost or destroyed, a person can contact the IRS for an abbreviated version of past years. They do not owe the government any money: If a veteran hasn’t been paying taxes, this would block their ability to qualify. A veteran should settle up his/her tax bill before applying. What are the benefits if they qualify? Reduced Interest Rate: As of August 26, 2016, the rate on a 30-year fix at 3.625%, but it can and will go up any time. Not everyone qualifies for the best rates, but as part of this program, veterans do, regardless of credit, as long as they meet those minimum qualifications for the program. No Private Mortgage Insurance: If a person doesn’t put down 20%, often they have to pay PMI (private mortgage insurance), which can add as much as 10% to the mortgage bill each month. 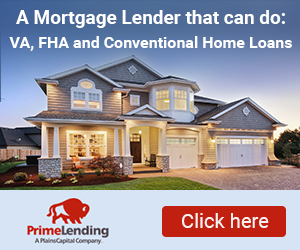 Fortunately, if they get their loan through the VA Loan program, PMI is waived because the program provides the same guarantee to the lender that PMI would otherwise. 100% loan; no money down: In fact, with the VA loan program, a qualifying applicant can put no money down. They may also qualify for waived fees: Disabled Veterans get the added benefit of a waived funding fee, which will save you even more. A new home for the veteran and his/her family: Don’t forget the best part. A new home. Maybe a yard and swing set. A place to entertain or just to relax. Whatever they’re looking for, if they qualify, it can be theirs through this program.